This is another record I regret slipping past me in 2013. The Bristol collective Young Echo is comprised of several artists with stellar output in the past couple years. 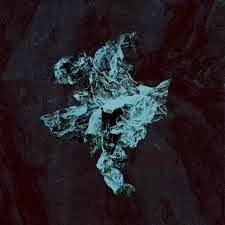 Vessel's 'Order of Noise' made my best of 2012, Zhou makes meditative drone, Khan is a respected dubstep producer and the other members, El Kid, Jabu, Neek, Manomars and Ishan Sound have managed to make names for themselves. Its no coincidence that this album has the Wild Bunch scenario, given that these kids obvious work in that Tricky / Massive Attack tradition. The general aesthetic is the blunted downtempo of their metropolitan mentors. However, Young Echo is deconstructivist. The dancefloor is broken. Beats are fodder for cutups. The hip hop and bass are buried beneath drones, spoken work, ethereal female vocals and frequencies on par with a Raster Noton album. The ghosts of Nurse with Wound and Boyd Rice are here, remixing for some cerebral nonexistent club, a place where sci-fi 2-step co-mingles with dub and introspective pop. Elements collide, float together, fall apart and fade away, but ultimately, and surprisingly, cohesion is victorious.